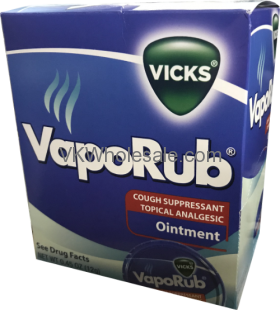 Minimum quantity for "Vicks VapoRub 0.45oz 12g 24PC" is 1. 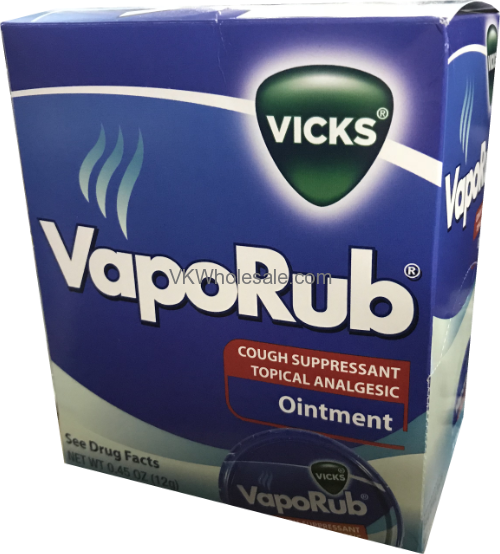 On chest and throat, temporarily relives cough due to common cold on muscles and joints, temporarily relieves minor aches and pains. 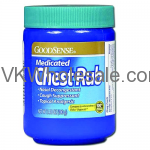 Minimum quantity for "Health Smart Medicated Chest Rub 3.5oz" is 12.